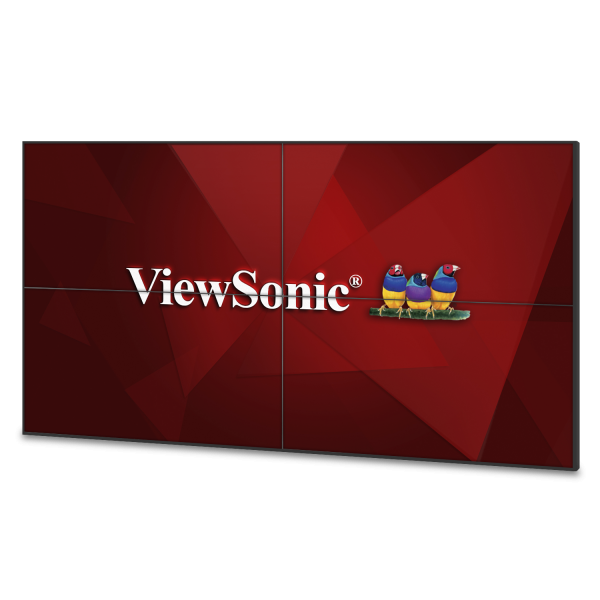 Ideal for public, retail, and transportation settings, this all-in-one commercial display bundle includes four (4) ViewSonic® CDX5562 55" (54.6" viewable) commercial displays, four (4) WMK-067 professional wall mounts, and four (4) CB-00010555 DisplayPort cables. 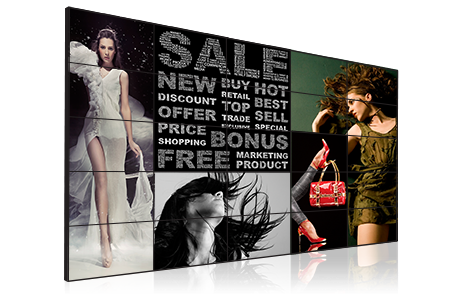 With stunning brightness, vibrant images, and multi-screen tiling, the CDX5562 commercial display is your ideal tool for creating video walls that wow! 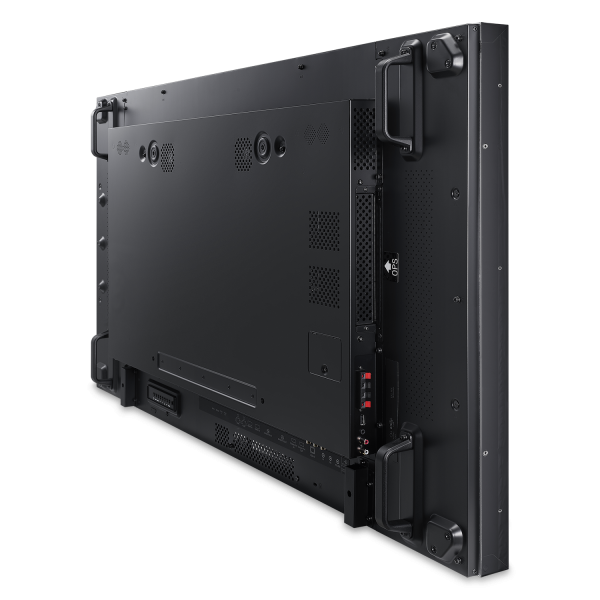 With up to 10x10 daisy-chain installation, and an ultra-narrow bezel that measures only 1.8mm between combined displays, the CDX5562 delivers nearly seamless, high-impact messaging that helps you to astonish, inspire, and inform. Featuring full metal construction and a scratch-resistant tempered glass screen, this durable commercial-grade display delivers reliable messaging 24 hours a day, 7 days a week. 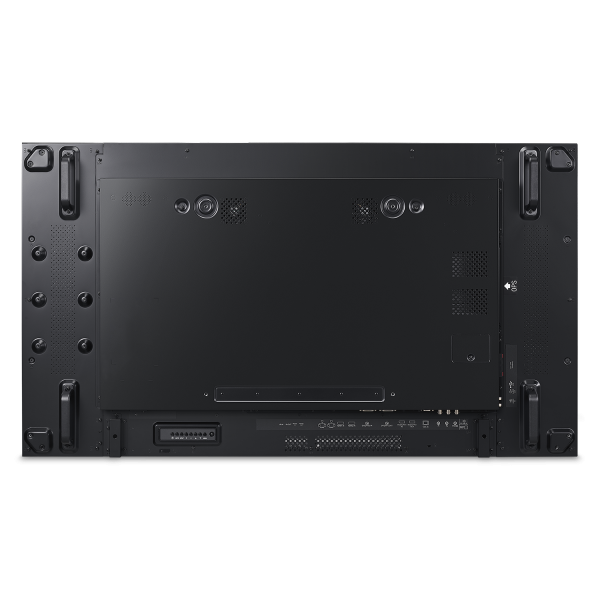 With Full HD 1080p resolution, 700-nit brightness, SuperClear® technology for wide viewing angles, and dual 10W stereo speakers, the CDX5562 delivers sharp, vivid images with incredible sound for superior multimedia performance. 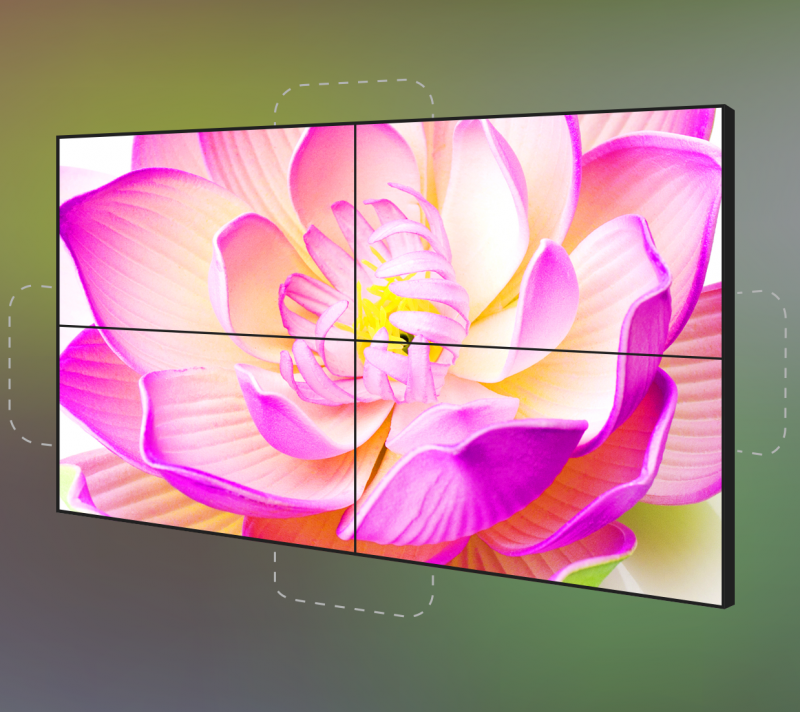 What’s more, 3840x2160 resolution is supported in 2x2 daisy-chain configurations for stunning 4K imaging. 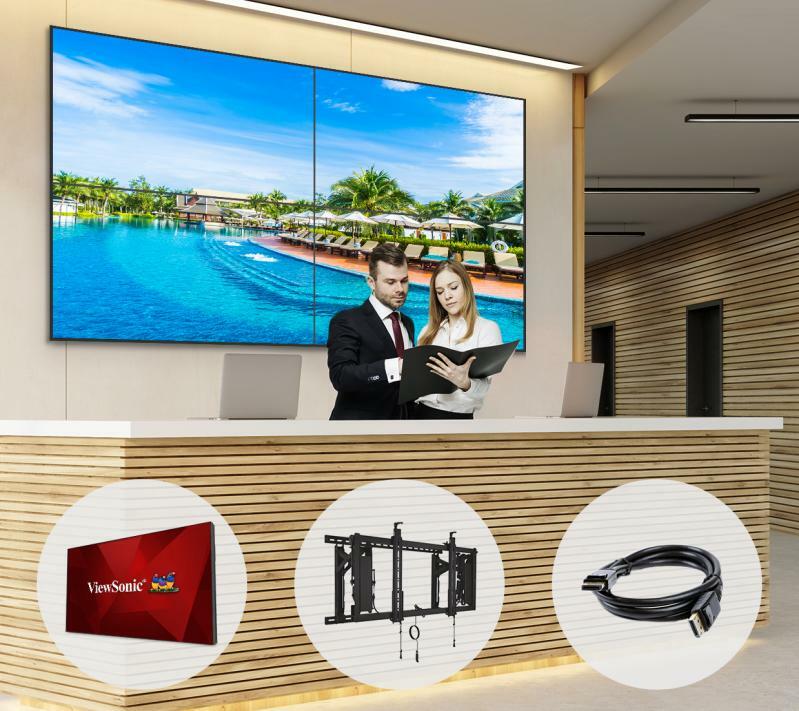 Perfect for 4K Ultra HD high-impact messaging, this all-in-one commercial display bundle includes everything you need for a 2x2 professional video wall. 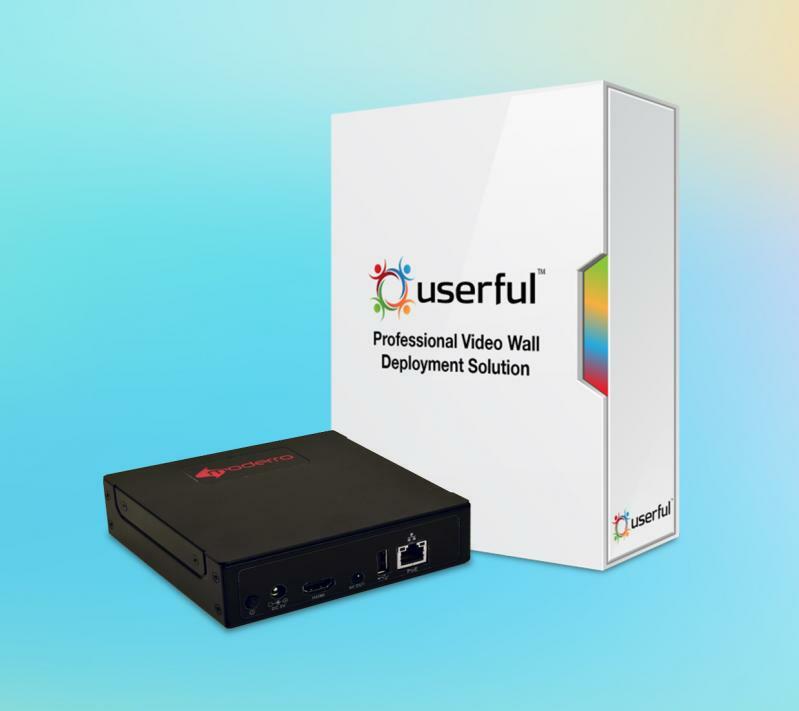 With this easy-to-configure, cost-effective bundle, you can quickly install the display wall with the included wall mounts and DisplayPort cables. 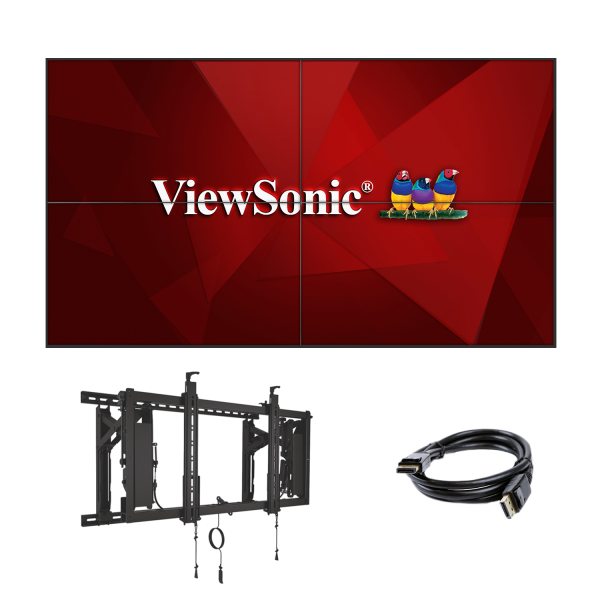 The ViewSonic WMK-067 professional wall mount delivers speed, durability, and easy alignment for the installation of large commercial displays. 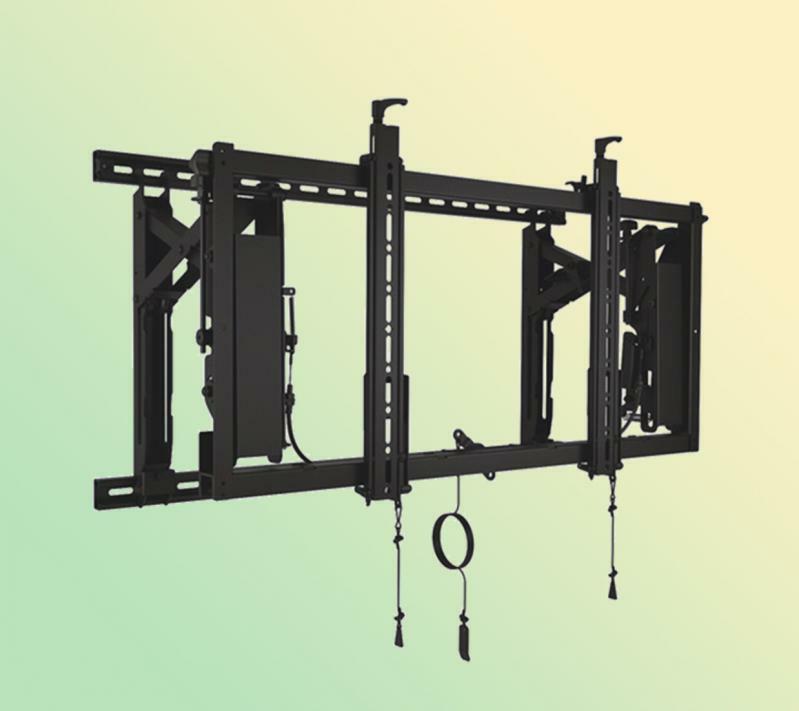 Thanks to an easy-install system, multiple mounts can be quickly installed together, while each row of mounts needs to be leveled only once. 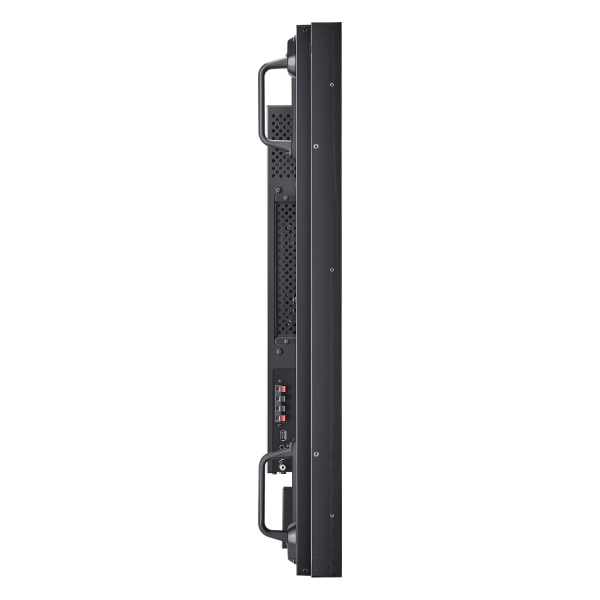 The NMP012 Moderro network media player and Userful video wall controller software (SW-014, SW-015, SW-036 and SW-037) combine to form a powerful video wall processor. 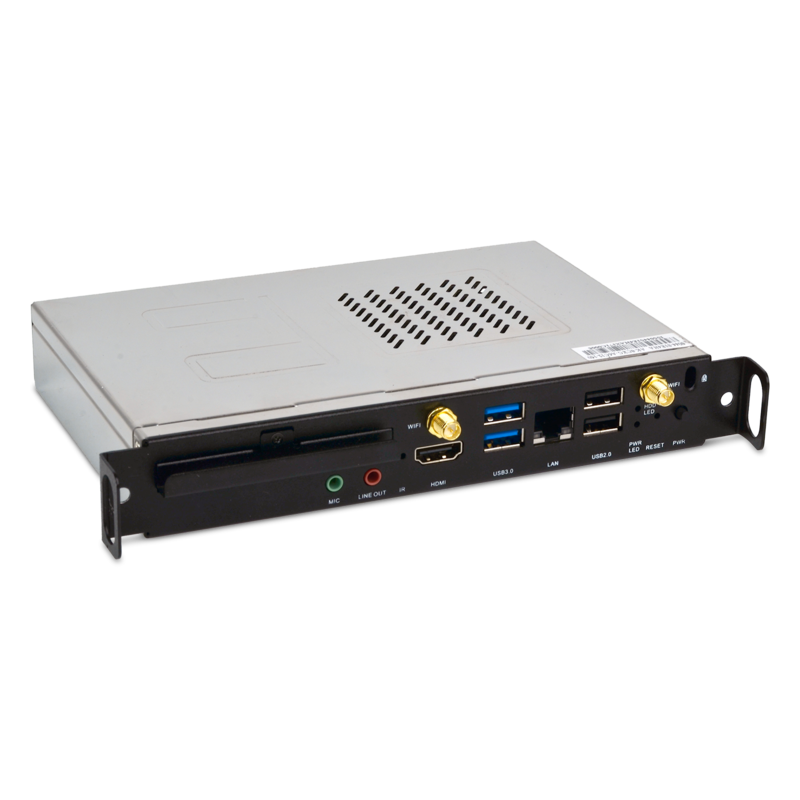 This optional processor allows you to easily create and deploy high-impact messaging and stunning digital video. 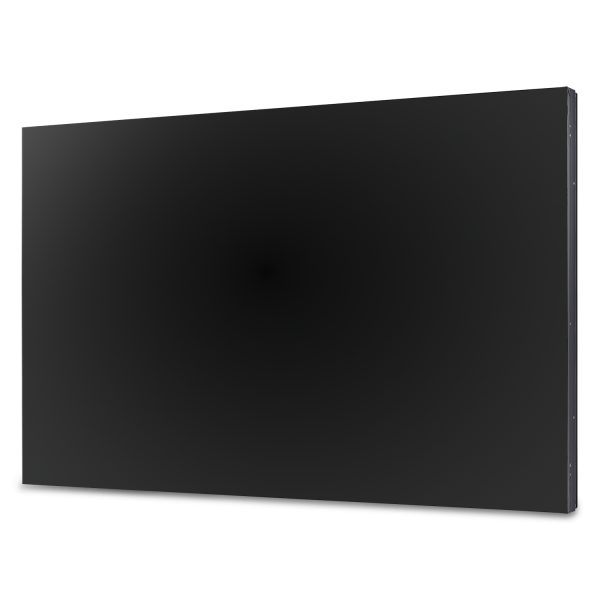 With a thin edge-to-edge bezel between combined displays, this commercial display creates stunning, near-seamless images when used in large video wall configurations. 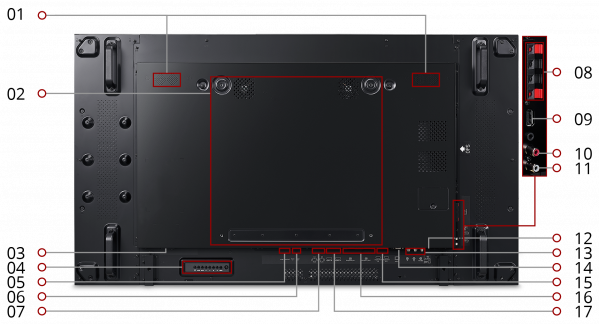 With integrated DisplayPort and DVI outputs, this display supports up to a 10x10 tiling setup for stunning multi-display video wall installations. 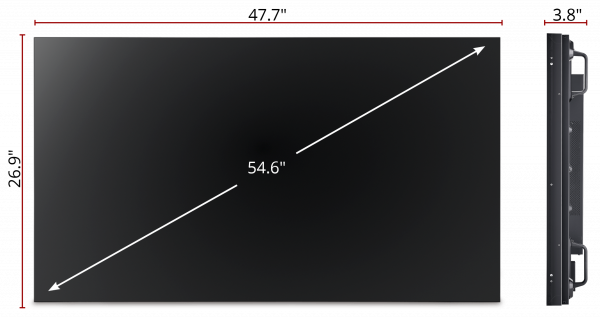 As only one of the displays needs to be connected to an image/content source, installation and maintenance costs are reduced. 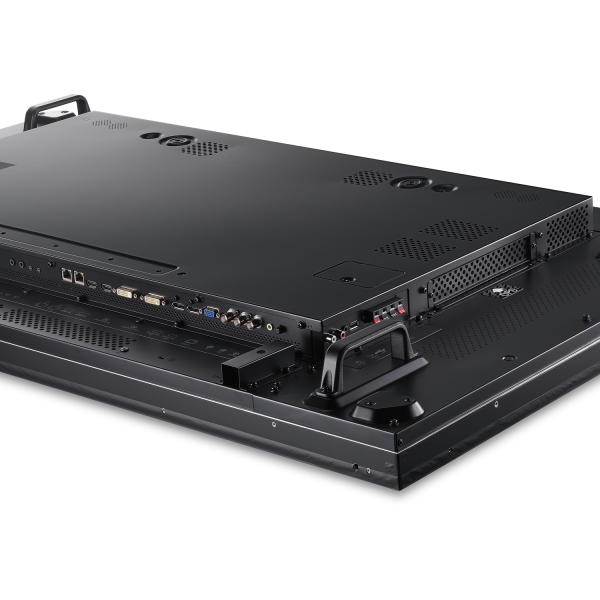 A native 3840x2160 signal can be supported across four daisy-chained displays, allowing users to experience incredible 4K video on a 2x2 video wall. This display features an integrated media player with a convenient USB playback function. 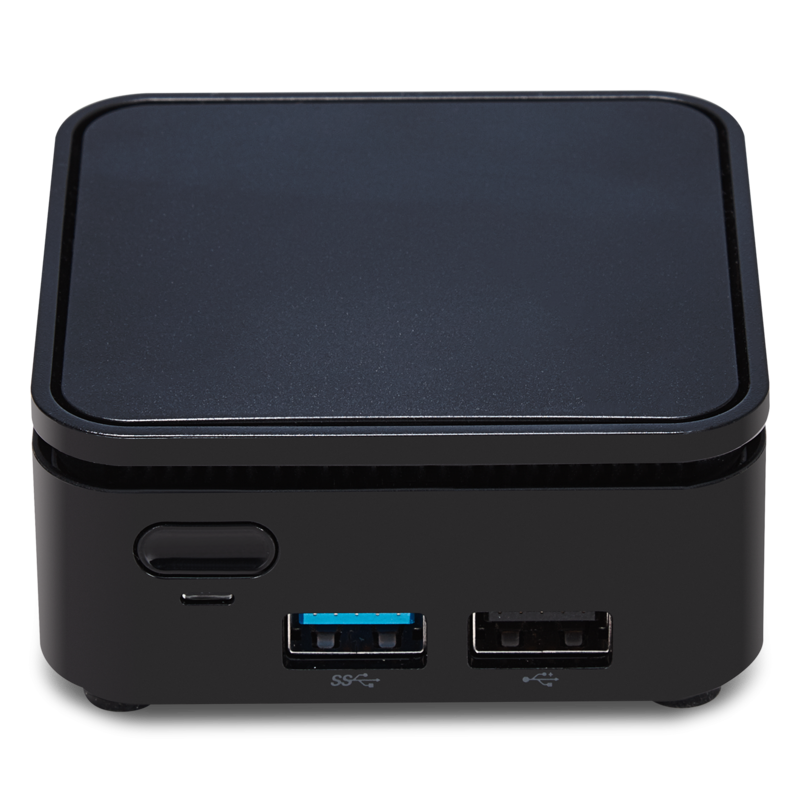 Now photos, music, and 1080p video can be quickly displayed on-screen directly from a USB drive – without the need for a PC. 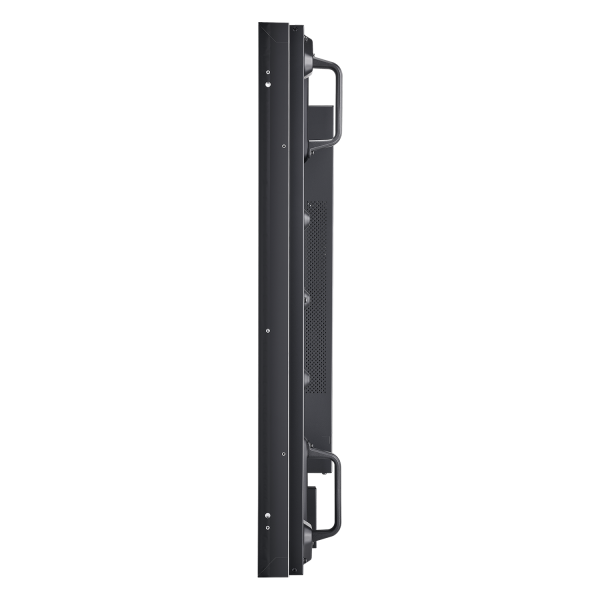 Equipped with Intel’s Open Pluggable Specification (OPS), this display provides for cable-free integration and easy installation in any environment. 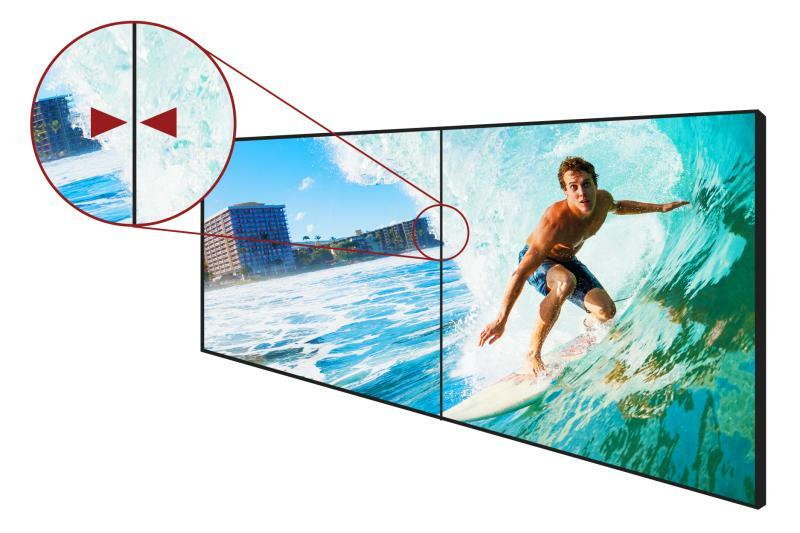 In addition, this display can easily connect to an external media player to bring a multi-media experience to your customers. RS232 input and output connectivity provides easy and efficient management of multiple-display configurations from a single laptop or PC. 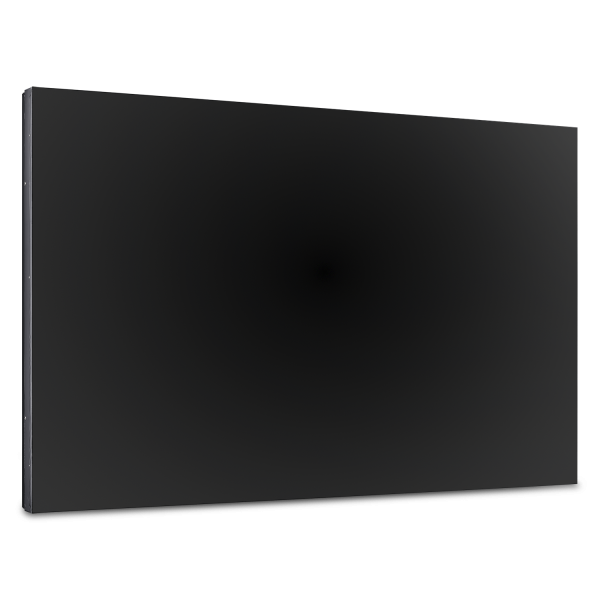 In addition, this display supports IR pass-through functionality for local control of set-top boxes or other connected devices, directly with the display’s remote controller. Included vController™ software provides a simple and intuitive interface for remote management, OSD-related settings, and scheduling on deployed displays through RS232 or LAN. 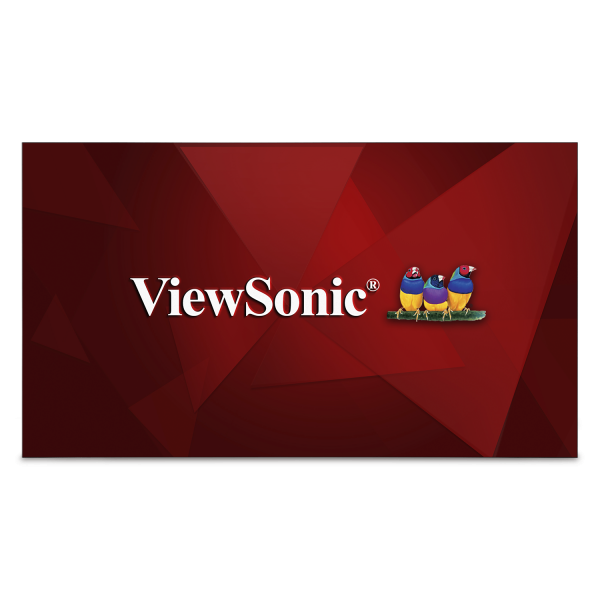 Have peace of mind in the quality and reliability of your ViewSonic display—backed by one of the industry’s best pixel performance policies and a 3-year limited warranty. Please dispose of in accordance with local, state or federal laws.